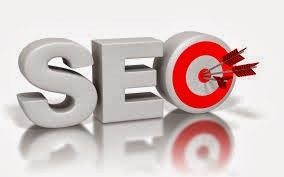 SEO News and Updates,SEO News for all webmasters,SEO News for webmasters,SEO News,SEO Updates. Biundo took the podium next to talk about on-site manual penalty actions by Google. Manual actions can be applied to the site as a whole or a limited portion of the site. The most common triggers for manual actions include cloaking and sneaky redirects. Most people know if they've done this, but sometimes they don't if, for example, they've inherited a site. You can go into Google Webmaster Tools, Fetch as Googlebot, and examine the code to find out. 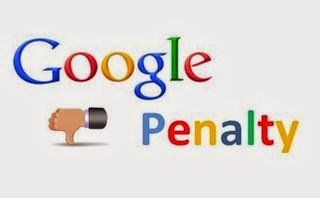 Hidden text and keyword stuffing are other reasons for manual penalties. Again Biundo said that most people know what they have done here. The key is to just get rid of it, then go back to Google to tell them you've fixed it. Thin content is another reason for manual actions. These are cases where there's no "value add" in the content. Things like auto-generated content, scraped content, and so on are all examples of this. User generated spam like un-moderated comments could also trigger a manual action. Clean up the spam and close the comment spam loophole by doing things like putting nofollow on links to discourage it and using CAPTCHA for comments. The next no-no is unnatural links, such as when you buy or sell links with the intent of trading PageRank. If you're selling links for traffic, make sure you nofollow them. One exception is some directories, Biundo said. Select directories are OK for a site to be listed within, like Yahoo, Best of the Web, and DMOZ. These are examples of directories where the editorial review standard for the links are high, and therefore, OK in Google's eyes. So when looking to be a part of directories, don't pursue a vast quantity of directories, Biundo said. Be exclusive. Guest posting when done well and in high quality sites is a valid technique, even though there's a lot of controversy around it. Guest posts at sites that aren't directly related to the industry or subject matter of your business can be a red flag to Google. Also, when posting, don't use or overuse links back to your website within your guest post. Once is OK if it's appropriate. Infographics are another controversial topic with Google. They've been vastly abused, so the key is to make sure they are high quality, factual, and offer value if you're going to use them as part of your digital marketing strategy. Press releases are still OK, but just don't load them up with keyword-rich links back to the site. If you're going to embed links, stick to branded links for your site or business name in the footer of the press release. There are countless ways to build manipulative links – many that have not been touched upon in this session. Biundo said it's as simple as knowing a bad link when you see one. Stick to Google's Golden Rule for links, and you should be OK.
What are the top 10 factors to get better search engine Ranking? What is Sitemap and How many types of Sitemap?